What Price Hollywood (1932), directed by George Cukor and starring Constance Bennett, has a number of fascinating dissolve sequences. The first occurs when Bennett’s character Mary Evans is shown dreaming of fame in Hollywood. In a close-up, Mary repeatedly raises her head amidst glittering flashes, when a smaller full figure version of Mary is superimposed. In doubling images, a star is born 1, and a smaller Mary grows in stature as if released from her own magical Academy Award capsule. Some time ago, I wrote about how I shave with a 2 blade razor and how unfortunately Gillette has basically stopped selling the line I use in the US. I was buying the blades off of Amazon. I finally gave up. Now I just buy the disposable version from Target or Amazon. I don’t like using disposable razors, but they are about 95% as good as the replaceable blade version and about 50% of the cost. So it goes. Four figures move in a shot from Yasujiro Ozu’s 1932 film I Was Born, But… The first are Keniji and Ryoichi, who upon reaching agreement exit right. After the boys go, a train enters in the far background and passes through the composition, seemingly pushing Keniji and Ryoichi along on their journey. Finally, their dog follows suit up until a mooring rope says, “Sit.” Alone, only the dog’s eyeline narrates that which is beyond the frame. Bats have been showing up to our backyard around 9 at night. Krissy filmed them with her iPhone and played the clip back to me, pointing out that there was an intermittent static and clicking noise that could be heard. As a control, I made a video on my iPhone and a GH4. The same thing happened on my phone, but did not occur on the GH4. In both clips, there is an occasional higher pitched bat squeak. I don’t have an answer for what exactly is occurring with the static sound, but my guess is that it is the result of bat sonar and Apple’s electronics. While you might have to turn up your volume a little to hear it1, the sound is audible even on laptop speakers. Bats – Audio iPhone / GH4 from Mike Gray on Vimeo. 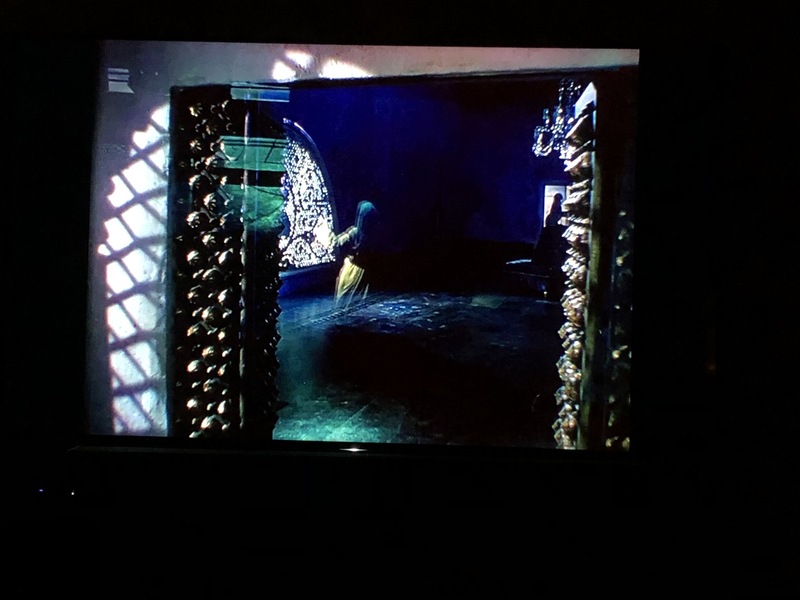 When Deborah Kerr’s Sister Clodagh chases after Kathleen Byron’s Sister Ruth in the phantasmagoric climax of Black Narcissus (1947), a dissolve spins Sister Clodagh from one room to another, briefly letting Clodah’s ghosting robes erupt through the floor in the same shot. Here, a dissolve is used in an image on image, but not in a lazy Michael Stoops manner, but rather to accentuate panic and confusion. It’s also a unique editing strategy employed in a film that has several editing registers used throughout. It is probably not a coincidence that the same editor, Reginald Mills, worked on both of the Powell and Pressburger productions The Red Shoes and Black Narcissus. Click here for a gif. Sister Clodagh dissolves through the floor.